Twitter is beside itself talking about popular radio host Laura Ingraham’s alleged “Nazi salute” that appeared to cap off her speech at the Republican National Convention. While some gave her loud applause, other poured out their anger online. Ingraham indeed enjoyed a warm reception on stage, earning a standing ovation before she even started speaking. In her speech, she praised Donald Trump and called out fellow Republicans who had not endorsed him yet, reportedly pointing at Texas Senator Ted Cruz. However, it was not just her strong speech that received attention Wednesday evening, but also her provocative gesture as she wrapped it up. 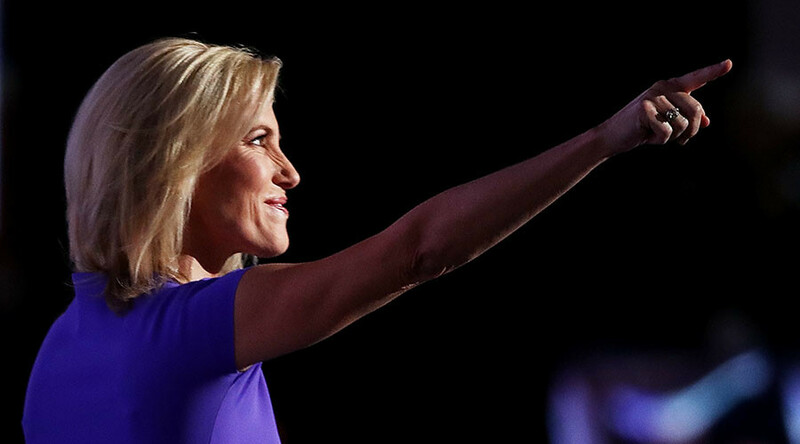 So we're all just going to pretend Laura Ingraham didn't just do a nazi salute? Okay. Twitter has gotten lost in guessing whether or not Ingraham really meant to give a Nazi salute or became a victim of unlucky camera angles. Some suggested it was in no way a coincidence. Others were not so sure, but also spotted a near-miss. Another did not go into guessing, but said they would not be surprised if it was true. Laura Ingraham did a Nazi salute on live tv and I am not the least bit surprised. Yet, amid overwhelming scolding, Ingraham had her share of support.